UPDATE: Also, TiVo is offering 3 months free service with the purchase of their TiVo HD. ALVISO and SAN MATEO, Calif. - January 17, 2008 - Jaman.com, a leading Internet movie service, and TiVo Inc. (NASDAQ: TIVO), the creator of and a leader in television services for digital video recorders (DVRs), today announced that TiVo subscribers will soon be able to access thousands of American independent and international film titles directly from the TV screen via their TiVo DVR. The service will be available in the coming months to broadband-connected TiVo Series2™ and Series3™ subscribers. Viewers will be able to browse and select from Jaman's premier library, featuring internationally-acclaimed titles such as Oscar-nominated "Paheli," "Loverboy" (Sundance) with Kyra Sedgwick, "All About Lily Chou-Chou" (Berlin International Film Festival) and Dardennes Brothers' "La Promesse" (Cannes/Toronto), helping to open up a new world of content to TiVo subscribers. TiVo and Jaman's relationship significantly expands the number of independent and international titles available to TiVo subscribers while providing a perfect complement to TiVo's popular Amazon Unbox offering, which currently boasts thousands of movies and TV shows. The combination of high-definition content from Jaman, with the convenience and familiarity of TiVo's intuitive interface, will provide users with the ability to discover and enjoy films from around the world. "By capitalizing on TiVo's vast big-screen user experience, we're making it even easier for people to discover, browse and enjoy our catalog of high definition, edgy and award-winning films on their TVs," said Jaman's CEO Gaurav Dhillon. "This venture cements our position as a leading online provider of movies, offering unique and original content that viewers can't find anywhere else." The relationship with TiVo extends Jaman's broad cross-platform leadership with support for set-top boxes, PCs, Macs, SanDisk's TakeTV and DivX. 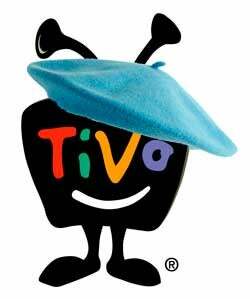 It also illustrates the continuing emphasis TiVo is placing on providing unique broadband services to their customers. Whether it's thousands of movie and TV shows from Amazon Unbox, or millions of songs available through Rhapsody, TiVo lovers have more ways than ever to get great content on their TiVo DVR. "We're delighted to introduce the availability of Jaman to our TiVo subscribers and we think it'll prove to be an exceptionally popular addition to our already robust broadband offerings," said Tara Maitra, Vice President and GM of Content Services at TiVo Inc. "This joint alliance significantly increases the selection of international and award-winning movies made available to TiVo subscribers, giving them more choices and easy access to premium content not available elsewhere." With Jaman on TiVo, viewers will be able to both rent and purchase films starting at $1.99, with a number of shorts and full-length films that are available to download for free. Visit www.jaman.com to check out the vast library of movies that will soon be available on TiVo DVR. TiVo boxes are available at leading consumer electronic retailers including Best Buy and Circuit City. See www.TiVo.com for details.